"May the force be with you." 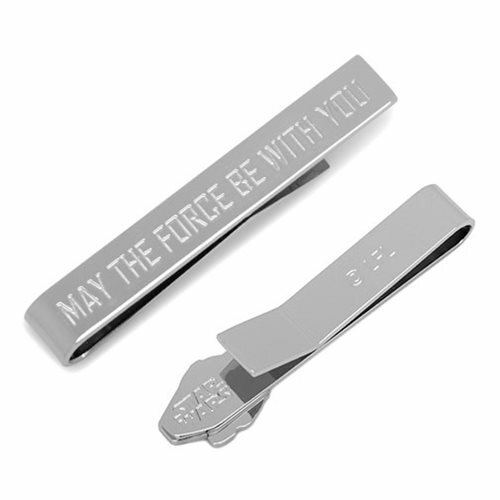 It's not the force that'll keep your tie in place, it'll be this awesome Star Wars Jedi Message Tie Bar. This tie bar, inspired by Star Wars, is a great way to keep your tie in place while showing off your fandom. Measuring approximately 2-inches wide x 1/4-inches tall, it is constructed by black and gold plated base metal.